We are on another ferry. 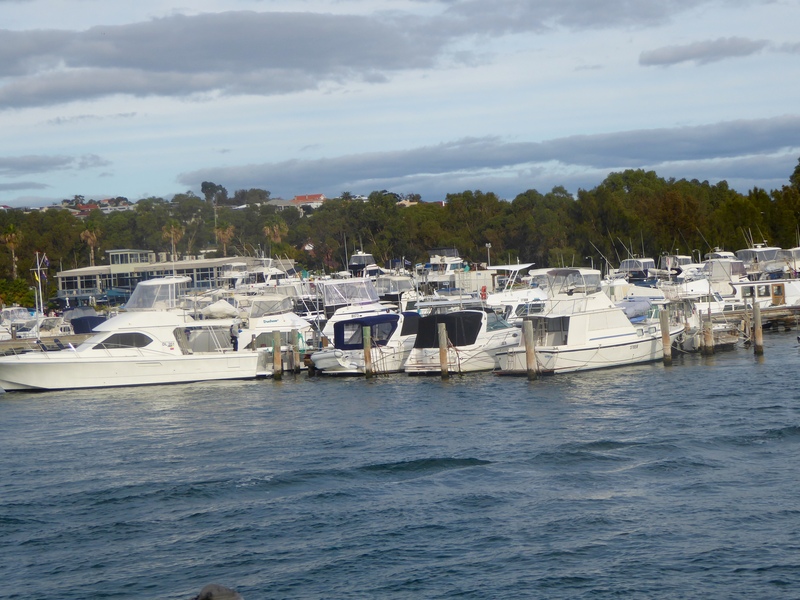 We love boats! 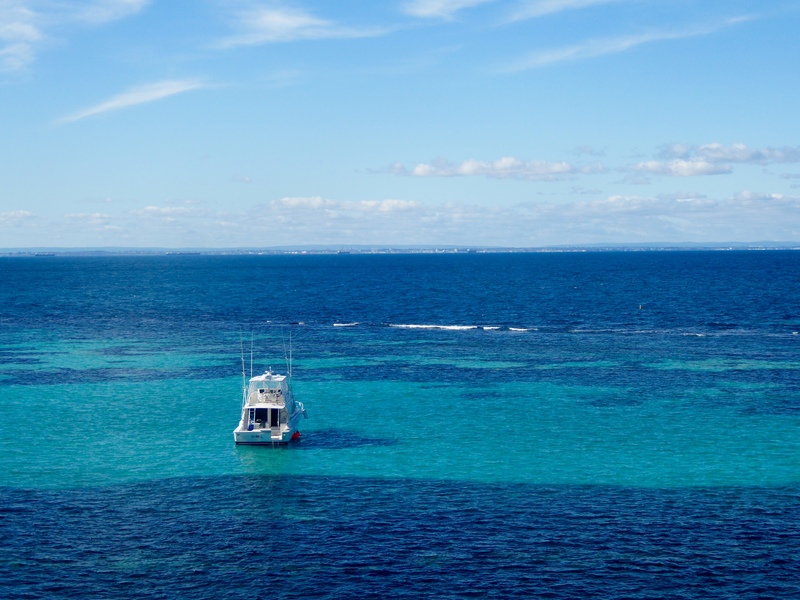 Today we are going to Rottnest Island near Perth, Western Australia. 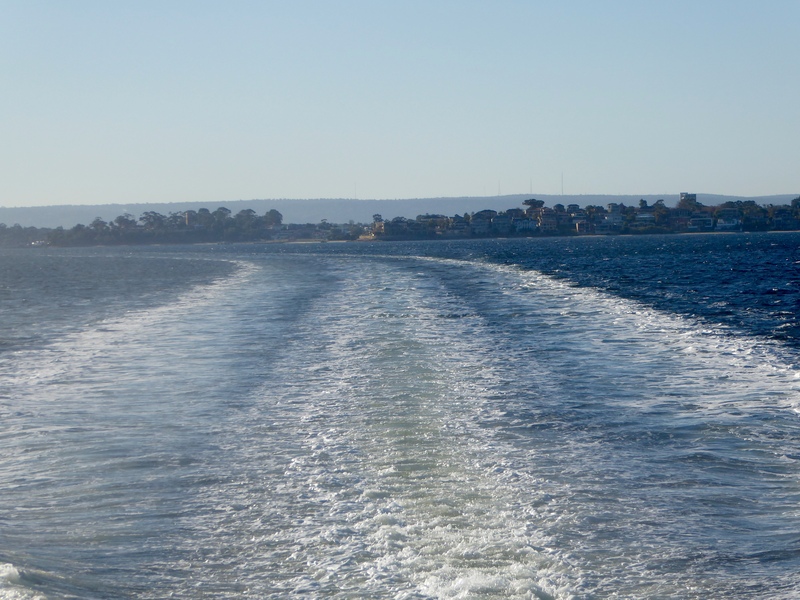 Here is the ferry. It is big. We are on! 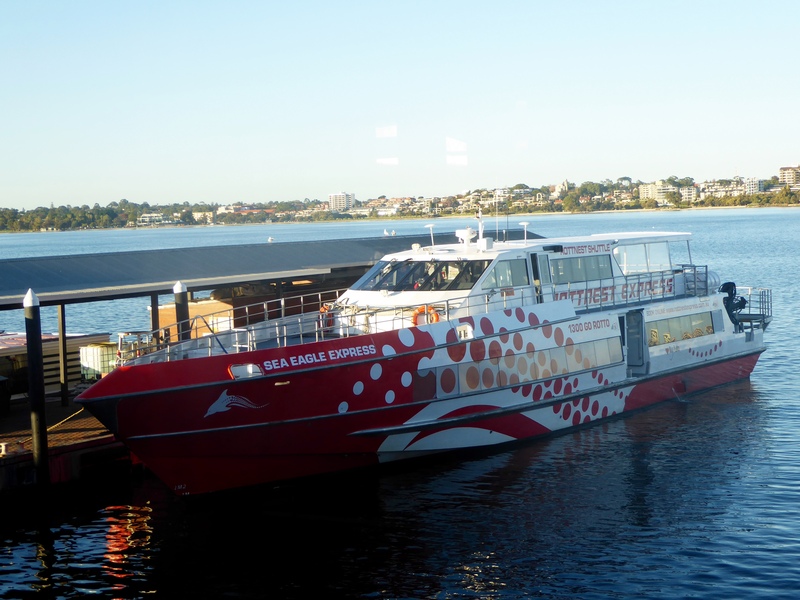 Our ferry is sailing on the Swan River. 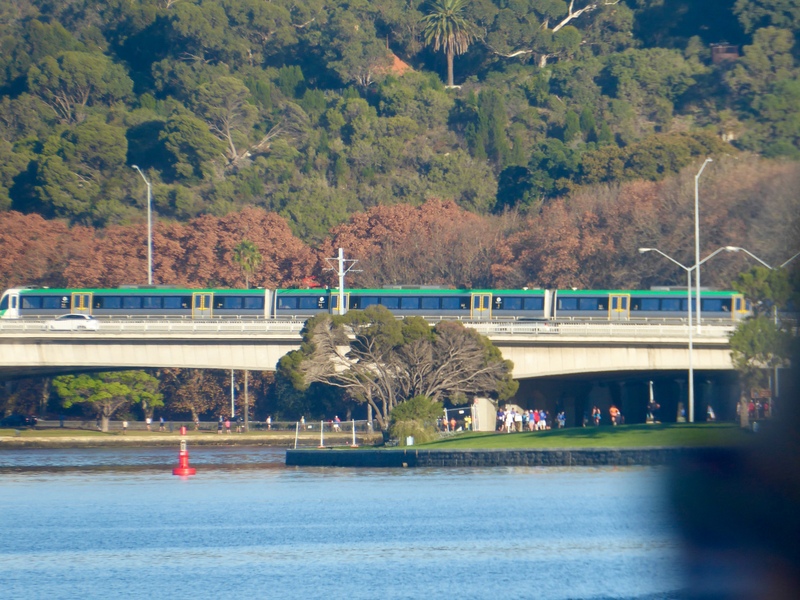 Leaving the dock at Perth, we travel under this bridge. Cars and trains drive on this bridge above us. We are really moving now. 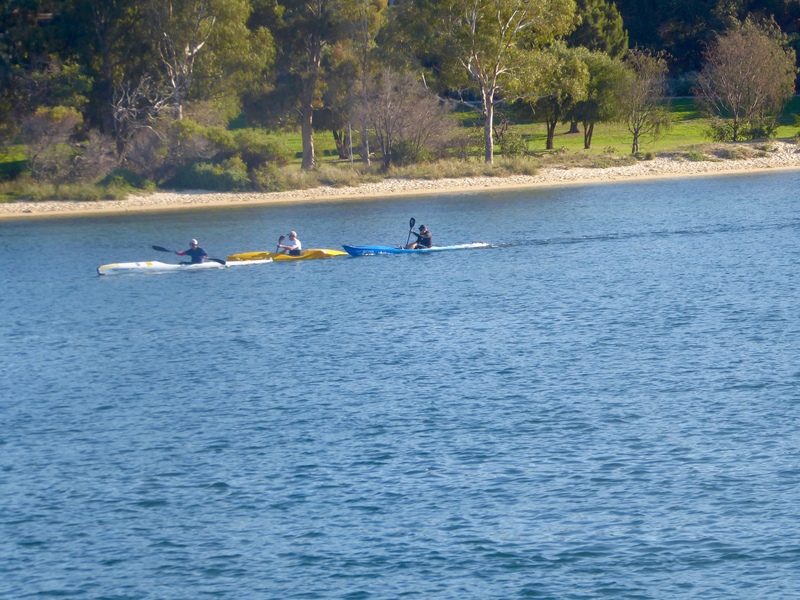 Along the river we see many people in kayaks. That looks fun. Hey humans. 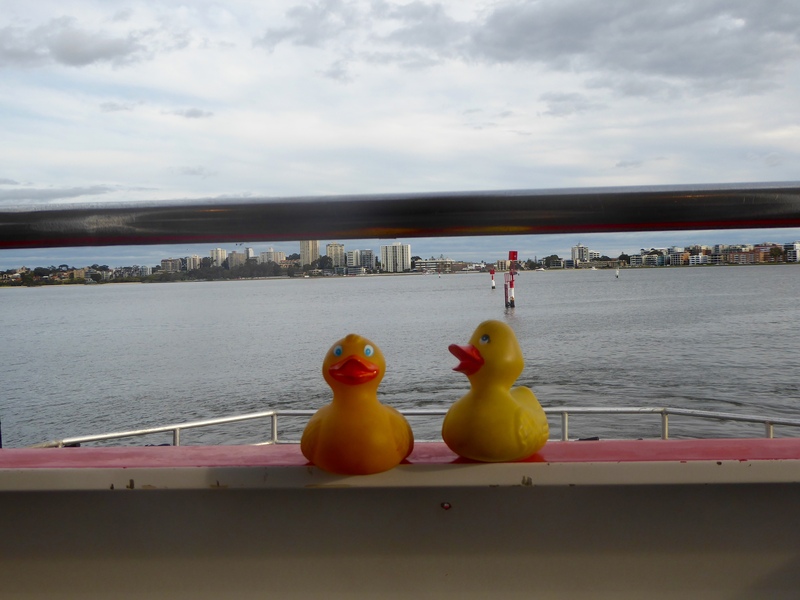 Zeb and Eider want to know: do all other humans have big boats? We are seeing so many big yachts along this river. 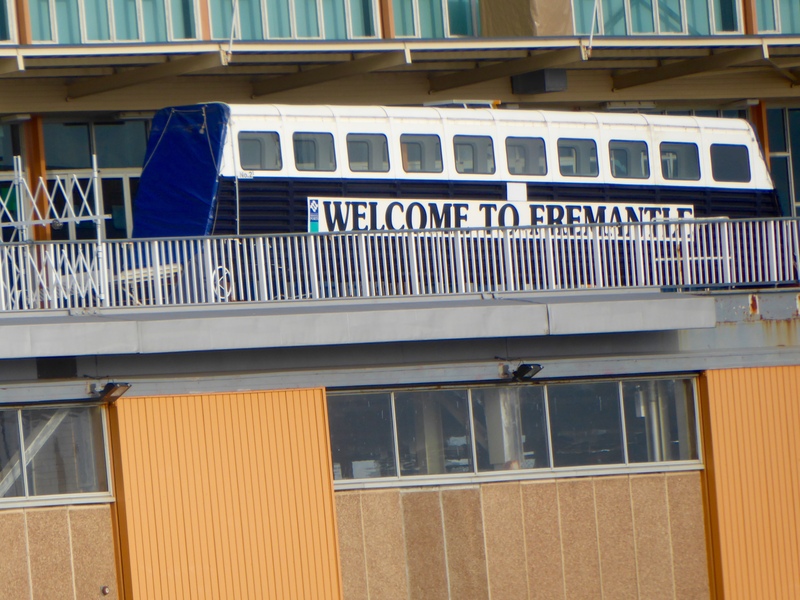 We stop for more passengers in Fremantle. 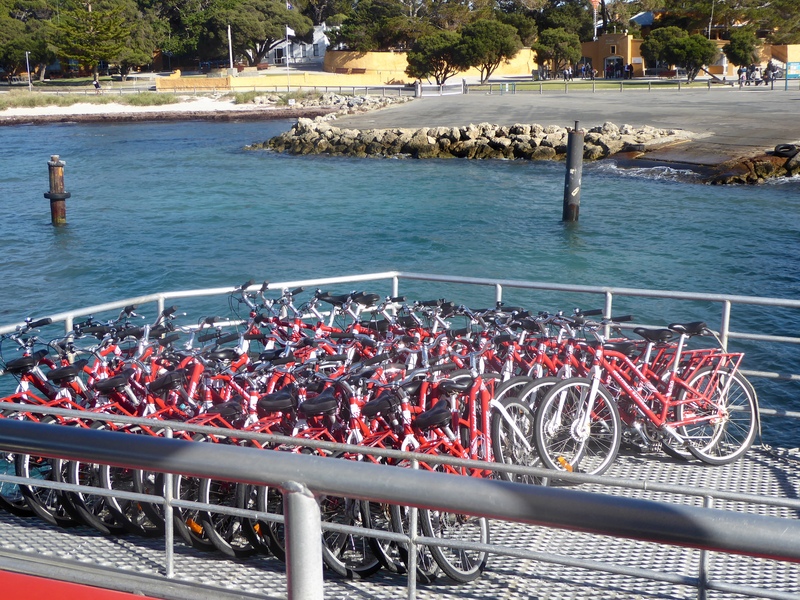 There are no cars on Rottnest Island, so many humans ride bicycles. We are bringing a lot of bikes on our ferry. 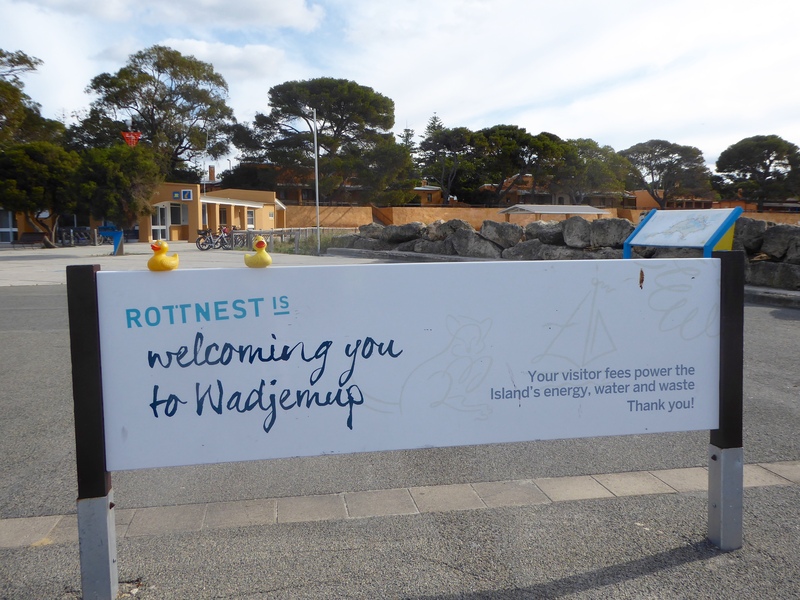 The Colorado Traveling Ducks are on Rottnest Island near Perth, Western Australia. First stop is the Visitor’s Center. There is lots of information at the Visitor’s Center. 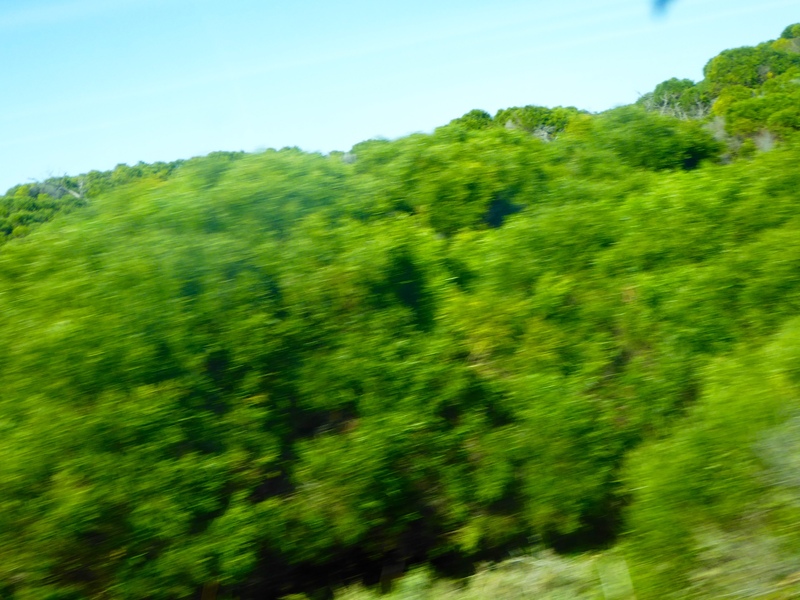 Here we learn about a tourist bus that travels around the island. We bought our tickets and we are going. We can get off if we want and then get the next bus an hour later. This island has beautiful white sandy beaches. The water is beautiful shades of blue. This is the Indian Ocean. We just can say enough good things about this water. 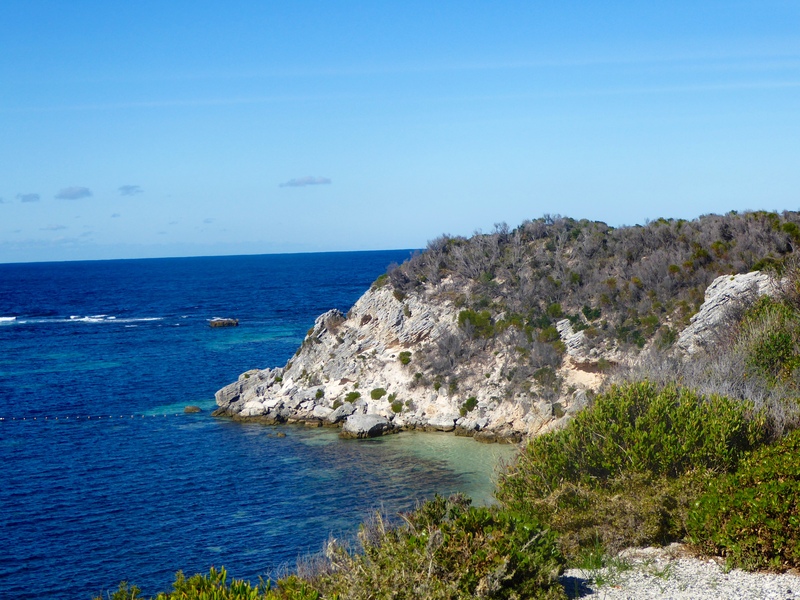 These rough cliffs are a reminder of many shipwrecks near the island. Treacherous cliffs resulted in many shipwrecks. 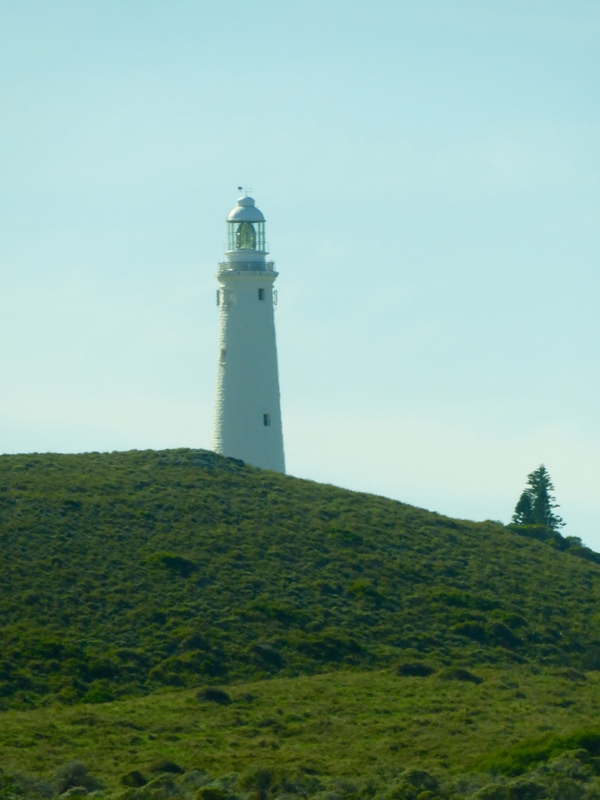 Some people got off our bus to tour and climb the lighthouse. 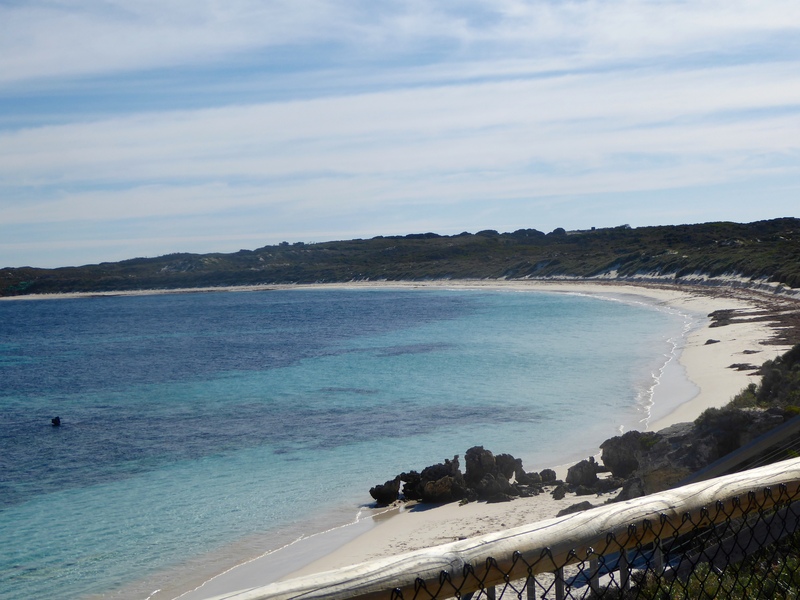 Although Rottnest Island has white sand beaches with beautiful clear water the interior of the island is wooded. 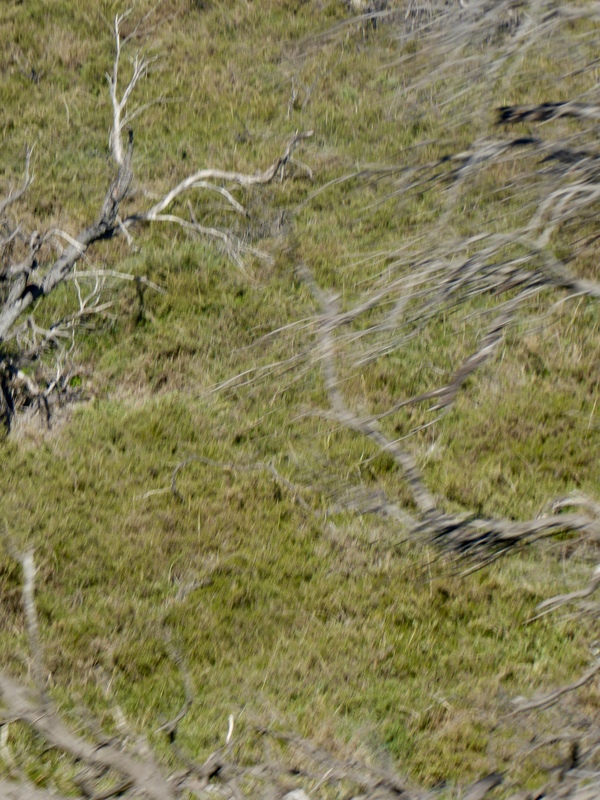 Other parts of the island are rather dry. 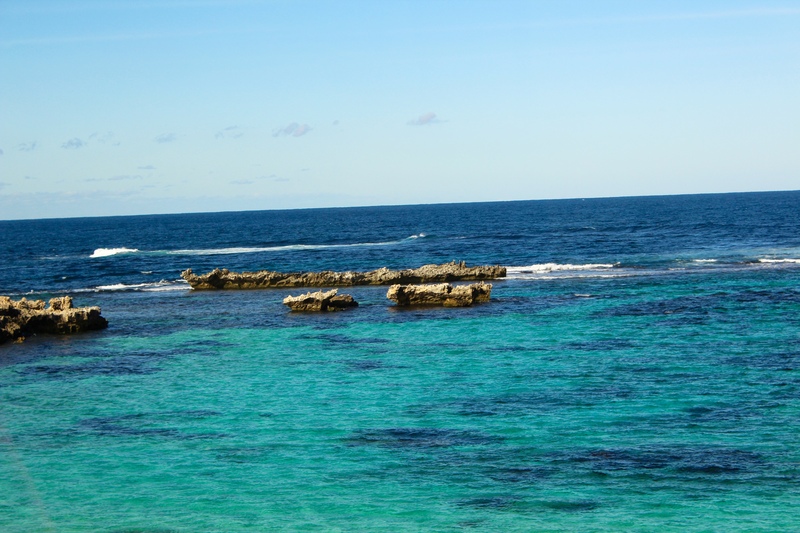 We like the diversity of Rottnest Island. After our bus tour, we explore more of this island. We will show you what we found next time. 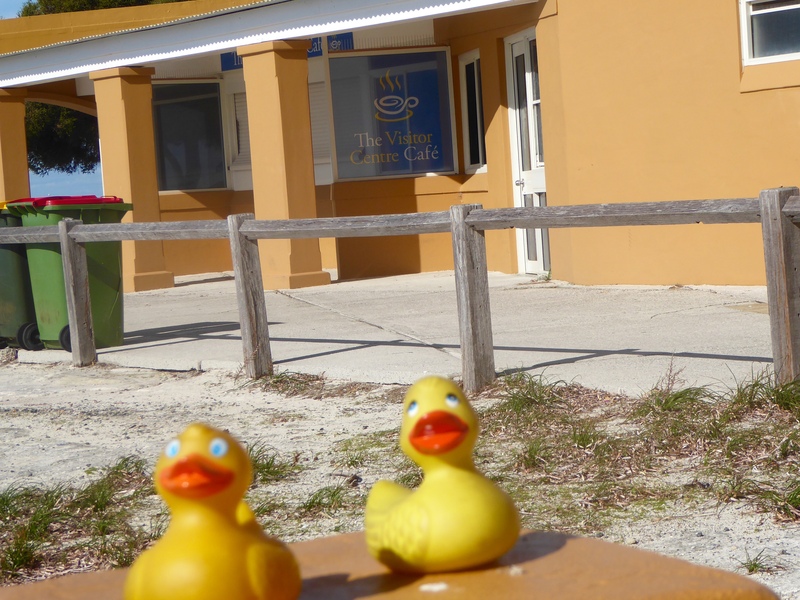 This entry was posted in Australia, Uncategorized, Western Australia and tagged Colorado Traveling Ducks, Indian Ocean, Perth, Rottnest Island, Western Australia. Bookmark the permalink. Water looks amazing. Did you go in? It is beautiful. Was winter there, so went in only about knee deep. Drove up west coast of Australia. Indian Ocean is spectacular! Thanks for reading and commenting. Love reading about your adventures also.